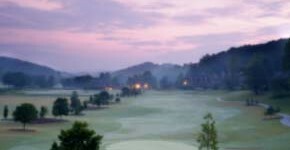 This natural, classic Jack Nicklaus Signature golf course blends harmoniously with its surroundings, located in the foothills of the North Georgia Mountains along the Chestatee River with the river coming into play on over half the holes. Achasta is honored to have been selected as home of the PGA Tour’s 2007-2008 AT&T Classic Qualifier, 2002-2006 Bell South Classic Open Qualifier, 2002 Georgia State Amateur Qualifier, 2003 US Open Qualifier and the 2004 Georgia State Mid-Am Qualifier. 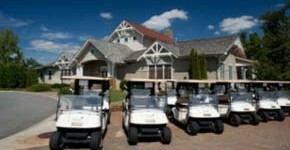 Cart Policy – Use of golf carts is preferred, but walking is allowed on a case by case basis. Chestatee Golf Club is located only 20 minutes from Long Mountain Lodge on GA-400 in Dawsonville, Georgia and set among the North Georgia Mountains, along the shoreline of one of the most beautiful lakes in the Southeast, Lake Sidney Lanier. Golfers enjoy access to a pristine 18-hole championship golf course with brilliant water holes and vigorous mountain-like terrain. Designed by award-winning golf architect, Denis Griffiths, the golf course is one of the South’s most memorable and picturesque golfing experiences. This 18 hole, par 71 course was given a notable 4 ½ star rating in Golf Digest's “Best Places to Play.” In 2002, it was ranked one of the top 100 courses to play in the U.S. and has continued to be distinguished in various golf magazines and publications.